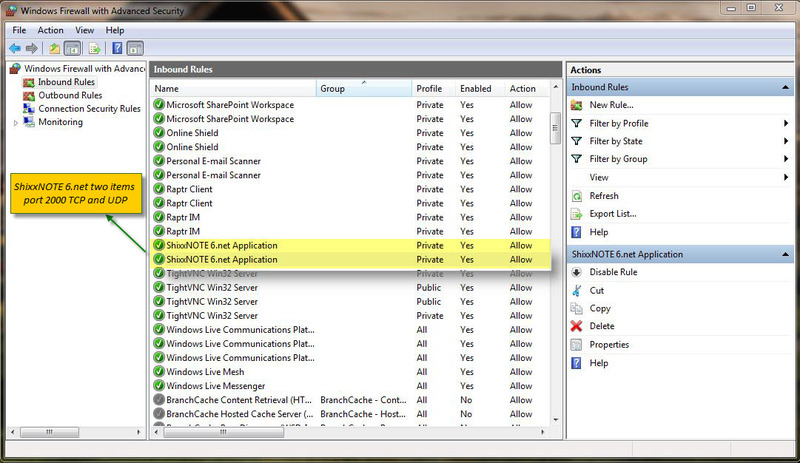 If you have Windows Firewall activated on your computer and it is "On", after ShixxNOTE program first start you will probably get Windows Security Alert dialog. 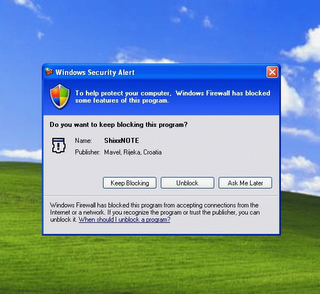 If you have Windows 7 installed then you will get dialog (first picture above) asking you to allow access to ShixxNOTE program ; if you have Windows XP then dialog (second picture) will appear asking you to unblock program (check the picture above). This is normal because ShixxNOTE is multi thread client/server application (LAN messenger). You can send note and receive notes to others in your LAN. For sending and receiving notes ShixxNOTE program communication port must be open. So if you get this dialog you have to click on Unblock or Allow access button to enable sending and receiving note(s) feature. 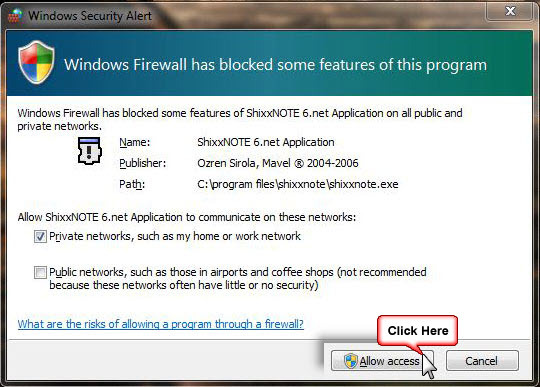 After you click "Unblock" or "Allow access" ShixxNOTE program will be added in Windows Firewall - Exceptions dialog and will work properly in your network. If you have Windows 7 installed then you can open Windows Firewall with Advanced Security dialog and if you allowed access to program you will get dialog like picture bellow. If you click Cancel or Keep Blocking button then you will not be able to receive notes from others. Because Windows Firewall will block incoming note data for ShixxNOTE program. Also you can always open ShixxNOTE communication port "2000" manually in "Local area connections" - "Advanced tab". If you don't know how write me and I will help you. If you have any problems with sending or receiving notes in program, check your firewall settings first. If you didn't fix the problem ask your network administrator to help you. 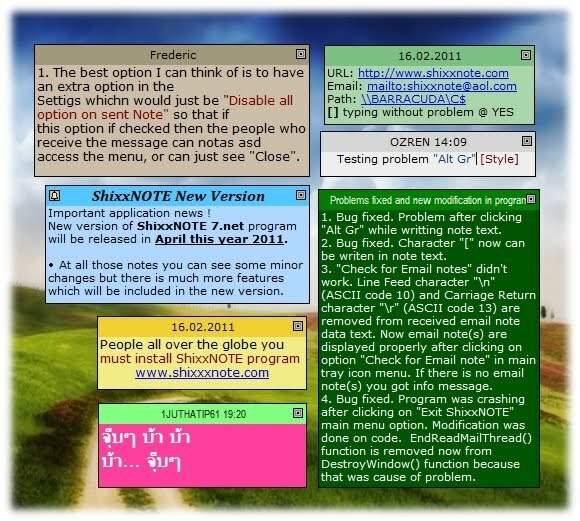 And finnaly write me if you have any problem regarding sending and receiving notes, or any other problems with program.